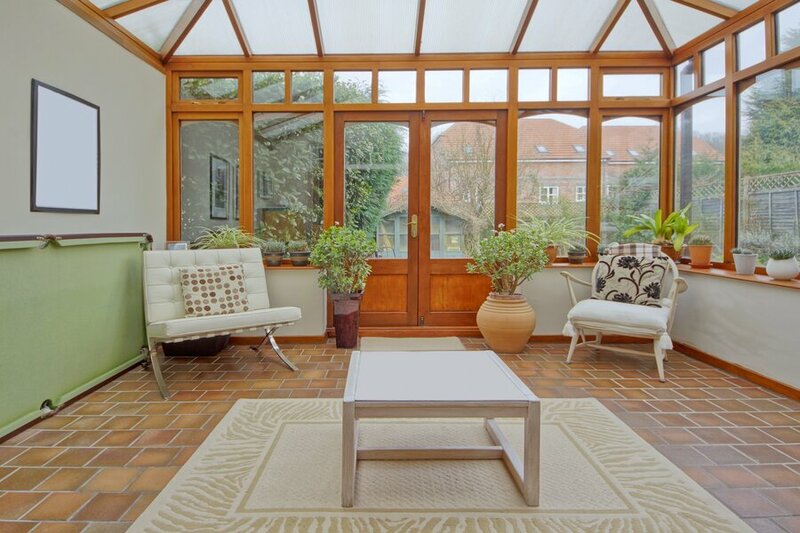 The Edwardian conservatory is beautifully understated. It's symmetrical build and clean lines will blend seamlessly with existing brickwork. What is an Edwardian Conservatory? The Edwardian conservatory combines clean symmetrical shapes with traditional finishing touches, resulting in a much loved classic and understated design. 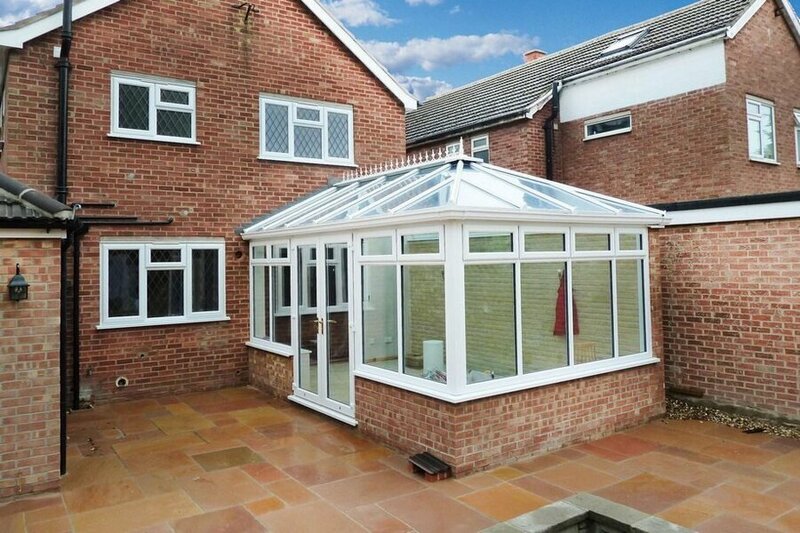 This flat-walled conservatory is perfect for those seeking a simple and uncomplicated style of conservatory. The spacious Edwardian conservatory allows you to extend and your house to create a new dining room, lounge, playroom or utility room. This versatile conservatory style presents you with endless renovating options. Edwardian conservatories can be incorporated into many homes, traditional and modern alike. This design keeps decoration to a minimum and instead offers a generous amount of floor space – perfect for the inclusion of furniture and plants. The Edwardian conservatory makes maximum use of the ground area available, giving you the most additional living space for your pound. Another interesting advantage is the pitched roof. Since a roof has to be angled to shed rainwater, a pitched roof can be made as large as you like. That benefit is thrown into sharp relief when put against a Lean-to conservatory roof where you will often find that the amount you are able to project the roof from the house can severely restrict the size of the conservatory. So, by starting with an Edwardian style conservatory, you begin with the maximum size conservatory that your garden can accommodate. From here you may wish to make adjustments for cost, but this is the best place to begin. In essence, this light and airy conservatory style adds space and style to your home. Adding a bold, classic touch to even the most modern of homes. You will certainly be enjoying the Edwardian’s timeless aesthetics for many years to come. Square or rectangular in shape and is without the typical facets found in a Victorian conservatory. The Edwardian conservatory style, in all its simplicity, allows the occupant to clearly see the exterior of the house, providing an indoor – outdoor experience. Let’s look in more detail at some of the choices you’ll need to make when designing your Edwardian conservatory. The traditional Edwardian conservatory is built using a dwarf brick wall around the bottom, upon which will rest the UPVC framed windows. This classic look might not be to your taste – especially if space is limited and you are going to be building a small Edwardian conservatory. Letting in more light would be a much better option in a case like this – so you would need to think about how to create a more spacious feel for your interior. If you want a dwarf wall anyway – or you have a large Edwardian conservatory – you can build it at the standard height of 600m from the floor or ask your installer to build one that is slightly higher. It really comes down to a matter of personal choice. Why build a dwarf wall? It can help tie-in the look of your conservatory with the brickwork on your house. It also provides a barrier between the floor and your windows, so that you don’t get dirty splashes of rainwater on your glass. Modern Edwardian conservatories – indeed, conservatories in general – tend to eschew such classical design features as dwarf walls and replace them with glass. Rather than opting for a French Patio door, for example, you could go one for that is bi-folding. What is a bi folding door? It generally opens from the middle and collapses into a neat concertina shapes to the side of your conservatory. This has two benefits:(i) it lets in more light, which will make your extension appear bigger; (ii) it links together the outer and inner spaces of your home. By using a “hipped” roof, an Edwardian Conservatory can be added to almost any house, including a bungalow. Quite simply, a hipped roof is a standard Edwardian pitched roof (gable end too). It is best explained by using a bungalow as an example. A conservatory roof would normally be attached to the fascia of the bungalow roof. Now imagine the apex of the Edwardian roof and the seeming impossibility of joining the two. This bit of building magic is achieved by simply rotating the conservatory 90 degrees so that the fascias of both roofs are joined. The they meet we install a box gutter to carry away the rainwater from both roofs. The Gable Front Edwardian Conservatory certainly has that WOW factor. This is a building design that is meant to be viewed from the garden and will set your conservatory out among the rest. The gable front gives an impression of spaciousness that is simply not achievable with any other roof style. The elegant triangular framework usually sits above generous double French doors and can be further enhanced by adding a star burst configuration within the glass or framework. The good news is that whatever Edwardian pitched roof you choose, a gable end is always possible. And the view from the inside is no less impressive. The gable conservatory draws the eyes upward, creating a greater sense of light and space. This is the design for those who want to add a touch of grandeur to their home. If you own a larger detached property with lots of space, then you may want to think about building a P-shaped conservatory. This is essentially a blend of two different styles of conservatory: the Lean-to conservatory and the Edwardian. This has the effect of segmenting your extension into two distinct areas that can be used for different purposes. One of the benefits of the L-shaped conservatory is that it’s designed to hug – in other words, wrap around – your property. This means your extension won’t ingress too far into your garden, which means you’ll have lots more space available to entertain your friends and family when they come to visit. Stuck for Edwardian conservatory design ideas? How about using the thinner Lean-to section of the building as a dining area? You don’t have to use floor-to-ceiling glass throughout your extension. But if you have a small Edwardian conservatory, you will probably want to use less brick. Energy efficient conservatory glass should be your first choice – as it will help retain heat and turn your extension into a living space that can be used all day long and throughout the year. Energy efficient glass uses gas that’s trapped between the panes to prevent heat seepage; it can also be self-cleaning – meaning that you won’t need to spend lots of your valuable time cleaning your Edwardian conservatory. UPVC, Wood or Aluminium Conservatories? UPVC windows for conservatories are often the first choice for homeowners on a tight budget. Are they the best choice for your extension? If you have an L-shaped conservatory that is very large – as we suggested earlier – then you’re going to want window frames that are easy to maintain. Regardless of whether you have small Edwardian conservatory or a large one, you may not find the idea of UPVC windows very appealing. Wooden frames are very attractive and can lend a conservatory a rustic sort of charm. Hardwood is better than softwood – but it will require a lot of maintenance and, if not looked after, can be prone to warping and rotting. It is also more expensive than UPVC. What are the benefits of aluminium windows when considering your Edwardian conservatory design options? They are much more durable than UPVC or wood. Aluminium is also a very pliable substance – which means it can be made into thinner fenestrations that won’t impinge upon the view of your much loved garden (ideal if you want a contemporary Edwardian conservatory feel). Don’t forget that UPVC comes in a range of colours. It can even mimic the appearance of wood. Why not request some free Edwardian conservatory prices from us today? We can get one of our experts to call you to discuss your options – if you’re interested, we can even get you talking to three local installers. Heating is often an aspect that’s overlooked by homeowners when considering their conservatory design. But it’s actually something that needs to be thought through in detail well before the first brick is lain. Underfloor heating for conservatories will be more expensive than, say, buying a conventional wall-mounted radiator – but the system will be hidden (thus adding to the modern design of your extension) and will distribute heat evenly throughout the area, meaning that you can enjoy your Edwardian conservatory all day and all year long. Before deciding which underfloor heating system to use, get your chosen conservatory installer to do a heat loss calculation for you. This is essential, as it will tell you whether your chosen product will be able to sufficiently heat the space it is intended for. Your Edwardian conservatory ideas will need to exclude carpet if you’ve decided that underfloor heating is the best way forward. That’s because it will prevent heat from rising. You should look at tiling options instead – natural stone or ceramic tiles are durable and are ideal places to start your investigations. Finally, you’ll need to decide whether to use an electric or water underfloor heating system. Wet is arguably more efficient but pricey – and it’s hard to get to the pipes if there is technical problem. Electric is simple to install (there’s no pipework) but is much more expensive to run than the wet system. Put bluntly, the type of roof you choose for your Edwardian conservatory can make or break the design. It’s therefore important to think about this aspect of the design process very carefully. Polycarbonate conservatory roofs are cheap, They also need to be cleaned frequently and are not effective at retaining heat or keeping out noise. If you’ve spent lots of money on your Edwardian conservatory, you’ll want to crown your achievement with something more aesthetically appealing. Glass conservatory roofs are a step-up from polycarbonate. They are thermally efficient and sometimes even self-cleaning. But you’ll need to invest in tinted glass to keep out unwanted glare. Tiled conservatory roofs are better at insulating and soundproofing than the above two styles. But they are lot more expensive too – so you would need to think about whether this extra investment was worthwhile. Looking at different Edwardian conservatory designs can be exciting. But at the back of your mind, you’re thinking: will my local council approve my design – or will I have to start all over again? So don’t give up on your Edwardian conservatory ideas just yet – but do familiarise yourself with some of the rules. 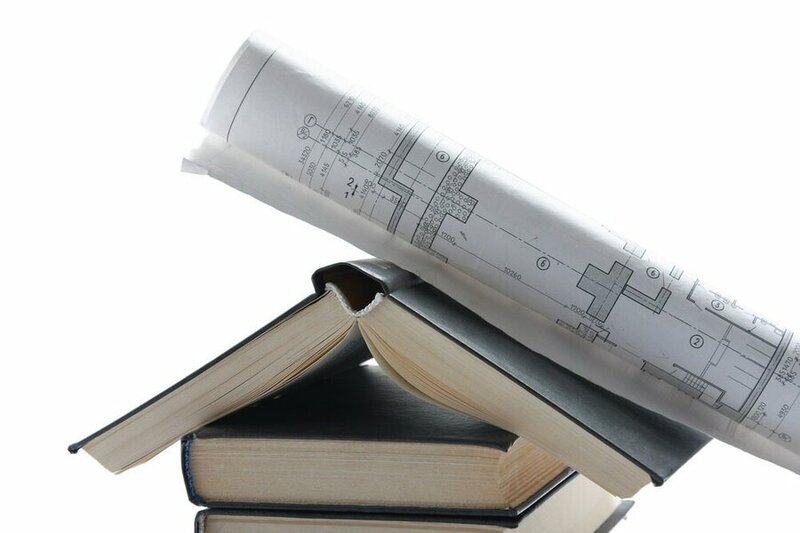 You can visit the government’s dedicated online Planning Portal where planning and building regulations can be viewed in their entirety. You can perform a range of other tasks too – such as searching for your local LPA and even submitting your designs electronically. Do I Need Conservatory Planning Permission? Will it be built to the rear of your property or the side – and not at the front or facing a highway/public road? Does your conservatory design exclude plans for any such extravagances as balconies or verandas? Will the final size of your conservatory occupy less than half the space of the land surrounding your home as it was built originally (taking into account in your calculations the size of any outbuildings, like sheds)? The above questions aren’t limitless. Further caveats may apply depending on the type of property you own. Flats, maisonettes and grade listed buildings would not fall under the same criteria as outlined above. If you live in Scotland or Wales then, again, different rules might apply. Looking for Edwardian conservatory costs? Conservatory Online Prices has helped many homeowners get free, no obligation quotes from trusted installers in the UK. To compare local conservatory costs, start your free conservatory quote today. Simply select your preferred conservatory style, choose your build type and enter your postcode – it really is that simple. One of our technical advisors will then be in touch to discuss your online quote and to put you in touch with 3 recommended installers in your area. All quotes are free, with no obligation to buy – helping you to compare local conservatory products and costs. What is a double hipped conservatory roof? A double hipped conservatory doesn’t have a flat face that connects directly to the wall. Instead, on both sides, it has what’s called a pitched roof. This means makes it highly versatile and a very popular choice with homeowners as a result – because the double hipped conservatory roof can be re-angled to fit on to all different types of properties: even those with height restrictions. What is a roof lantern? From a decorative and practical point of view, you may want to think about whether a roof lantern will be suitable for your conservatory. It is a form of skylight that sits on top of your roof – and comes available in a range of different materials: UPVC, wood or aluminium. It will be made out of either double or triple glazed glass that’ll be thermally efficient enough to stop unwanted heat from escaping. Roof lanterns are often a popular design choice for orangeries. Is a conservatory cheaper than an Orangery? Yes – if you are on a limited budget, the conservatory prices are lower. A small Lean-to Conservatory would, if you used some of the existing walls of your property as solid sides, cost you anywhere between £3000-£8000. Orangery prices begin at £20000 and can cost, in rare cases, as much as £10000 – so you would need to save up for one. But they are more complex to design than conservatories, so this will give you plenty of time to come up with some interesting orangery design ideas. What type of conservatory roof is best? When looking at conservatory roof costs, think about the practical element of your purchase. Polycarbonate is the cheapest option available, but it won’t sound proof your conservatory against the noise of falling rain; nor will it retain heat well. If you want an energy efficient extension, you should investigate glass conservatory roofs. Modern ones are normally thermally-efficient and will save you money on your heating bills. If you have a large, open-plan extension, look into underfloor conservatory heating costs – so you can keep yourself warm during the colder months. What do I do if my garden is north facing? Then it would not be an optimal site for you to build on. Conservatories north facing will be cold most of the year round and won’t get much light. Another option would be to build a traditional orangery – in other words, one that’s built mostly from brick – as this would still give you some much-needed extra space and could be kept warm throughout the year as well. Click the button below to get an online price for windows and doors. We have years of experience and expert knowledge of the double glazing, home improvement and renewable energy industries. We provide you with instant access to online guide prices for a range of products as well as a choice of trustworthy local suppliers across the UK. Quickly compare products and prices using our online quote builder, speak to our network of trusted local companies and choose the one that is right for you! Join our network of accredited conservatory installers. Get in touch with us now.